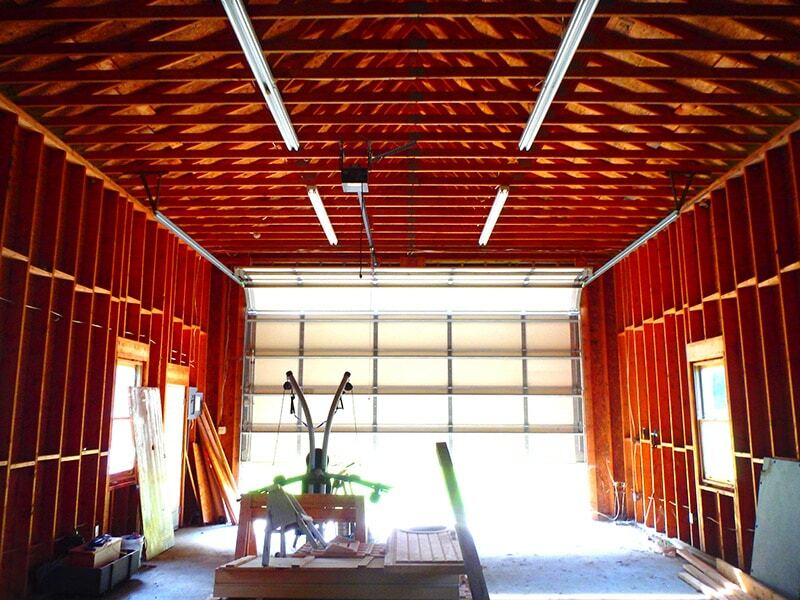 I’m finally renovating my dream woodworking workshop! Last week my wife and I moved into our new home in the countryside. 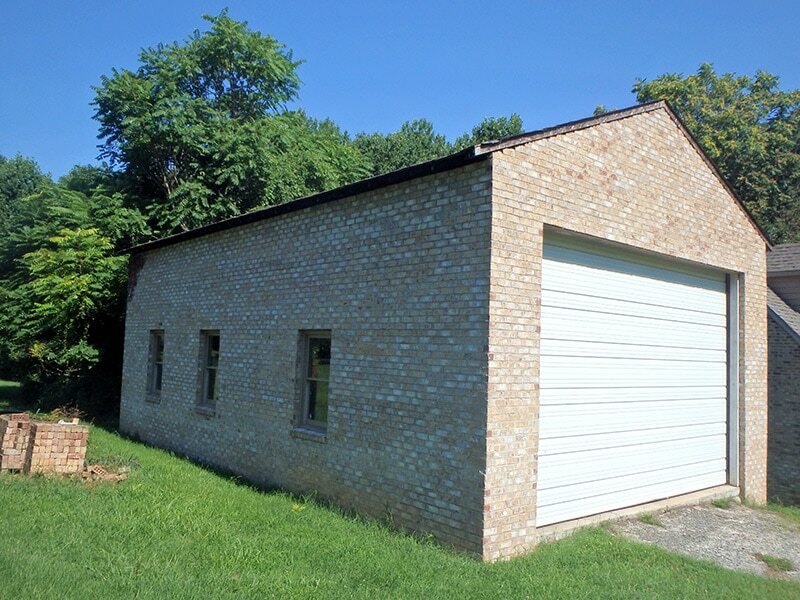 Not only does it sit on 6 acres of pretty farmland & woods, but it has a huge 25’x40′ garage that was built for a RV motor home! I needed a new workshop/film studio, and was looking for a property with something to meet my needs, but I never thought I’d find a place this huge! Check out the video above, and make sure you’re subscribed (click here) so you can see the progress over the coming weeks. The workshop definitely needs some work. The previous owner left a huge mess, so cleanup was the first priority. You would have loved seeing me all suited up in a beekeeping suit while spraying all the wasp nests! The roof never got soffit, facia, or rake boards put on, so that’s happening tomorrow. I’ve been working on installing some extra electrical boxes, insulating the 2×6 frames, and hanging drywall. In a couple weeks I’ll be trimming out the windows & door and bringing in a wood stove. 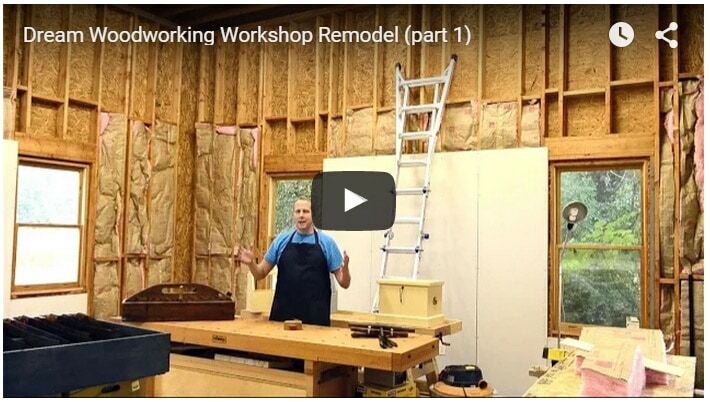 My goal is to give the workshop an 18th century feel, with a few modern touches in the back. 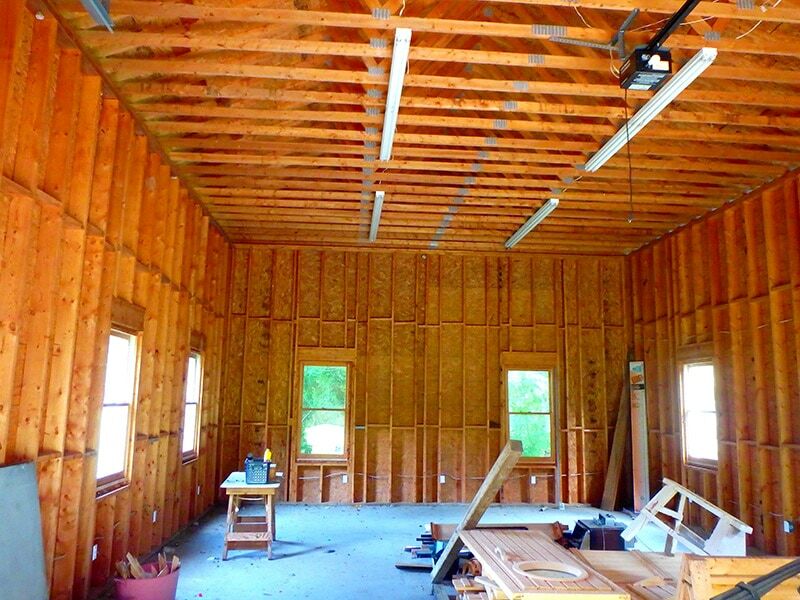 This will be a great place for not only building furniture and filming woodworking videos, but I have plans to offer classes taught by some amazing traditional woodworkers…stay tuned! What an awesome space and I’m sure it is going to be a great shop. But I think you are going to be disappointed with the performance of your insulation. All those gaps between the framing and the insulation will significantly reduce the effectiveness and the tears in the paper backing effectively negate it as a moisture barrier. Please take this as constructive criticism as I would hate to see you to to all the effort and expenses it will take to finish off your shop and end up with less than satisfactory results. No worries Charley. Here in Virginia there’s not a huge need for a vapor barrier like there is up in New England. Plus I’ll have a big wood stove cranking away. It’ll be a ton more comfortable than workshops in the past! Congrats on the new home! I know the feeling of finding a place that will suit your dreams, not just your needs. I bet you’re having an awesome time setting up the area for woodworking. Doesn’t even feel like work. Ha, ha, well it feels like work, but like good work! Much better than sitting in front of a computer. Congrats on the new home and shop. That is going to be an awesome place to produce videos and instruct. I hope I can attend a class there sometime. Keep us up to date on the progress. Thanks Dave! You bet, you’ll see the progress on the workshop. Where are you from? Nice space, I’m not jealous, well maybe just a little!! Nice start on the workshop. Built like a brick ….. I just completed my own shop and had fluorescent T5 lighting installed. I was pleasantly surprised how bright they made the shop. If you are undecided on lighting, I would urge you to consider it. You should post photos of your workshop on the forum (under workshops) and send me the link! Yeah, this workshop has some huge fluorescent lights, which is really bright. Did you say what you did with the floor of the shop? Moving to Charlottesville area soon and hope to be able to visit your school in the near future. Hi Neil, the floor is still concrete, but when finances allow I’ll put in a pine floor to prevent falling tools from breaking. Welcome to C’ville! I’d love to have you take classes here.